Belgian visual effects company, Benuts, is a melting pot of creative talent. They have animators, videographers, graphic designers, matte painters, etc. all on staff to bring unique and diverse perspectives onto each project they take on. We interviewed producer Michel Denis and VFX supervisor Ronald Grauer about their work on this Netflix feature and how they used ActionVFX elements to help bring the film to life. How did you get into the visual effects industry? Michel: After learning photography and computer science at school, I started working for a company as a 3D animator. I did a lot of short 3D films for theme park rides around the world. Then in 1999, I started my own company. In 2010, it was bought by a French group and we started to work a lot on French feature films. In 2015, I met Alain Carsoux, a famous French VFX supervisor, and I started to work with him on a lot of films. Then in 2017, we bought Benuts from a French group. Today we continue to develop VFX in Belgium and try to catch part of the VFX of big US productions. Talk to us about the team you work with on a day to day basis. Michel: The atmosphere at Benuts is very friendly, very “family like." Benuts’ premises are in an old house in the countryside near Brussels. We manage the production side with four people and we have a team of 2D/3D artists of around 20 people on average, but we can grow up to 40 people. Generally, we work on 2 or 3 features at the same time. Our work setup is very organized like the bigger structures, but we try to keep the agility of a small studio so we can oversee a feature with more than 500 shots, but still be able to work on a music video clip with just 2 little VFX shots. We enjoy the mix to keep our creative juices flowing. Michel: We work on a lot of French movies (see my IMDB) and several English spoken movies: BBC/HBO series – Parade’s End, then several features, Suite Française, High-Rise, The Shallows, Disobedience, Death of Stalin and What Happened to Monday. We have developed a special expertise in motion design for Concerts. We worked with Stromae on his tour in 2013-2015, and we did a clip for him “Quand C’est?” In 2016-2017, we worked for a national singer Loïc Nottet, and we currently work for a French Hiphop band BigFlo&Oli. On the fiction side, we are starting VFX work on the new season of TV series – Versailles. What was one thing that made you think "I want to do VFX work as a career?" Ronald: 'Alien' was a major inspiration for me. But 'Gladiator' just made it for me. I loved the invisible visual effects, which for the first time were truly invisible. The scene with Russell Crowe and the lion (filmed separately but seamlessly integrated) impressed me very much at the time. Ronald: In a not so distant future, where overpopulation and famine have forced governments to undertake a drastic "One Child Policy," seven identical sisters live a hide-and-seek existence pursued by the Child Allocation Bureau, directed by the fierce Nicolette Cayman (Glenn Close). Taught by their grandfather (Willem Dafoe) who raised and named them each after a day of the week, each can go outside once a week as their common identity, Karen Settman (Noomi Rapace). They are only free to be themselves in the prison of their own apartment. What was especially interesting creatively was having to create a science fiction environment which successfully mixed the old (Eastern European style buildings) with the new (inspiration from all around the globe: New York as well as Singapore/Hong Kong etc). Ronald: Our leads are always searching the net for good elements and materials. One of them showed me your site one day, so we went through all your assets and decided to go for some of them. Since then, your material became a household reference for us. Ronald: We used a lot of your fire elements, explosions, debris and smoke. 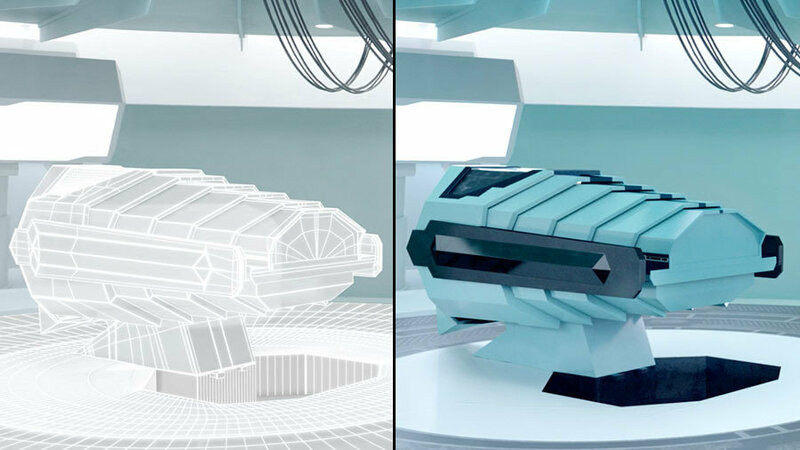 Some were used straight forward and some have been mixed with 3D simulation in Houdini. Ronald: The most important thing for us with those kind of assets is of course the quality. 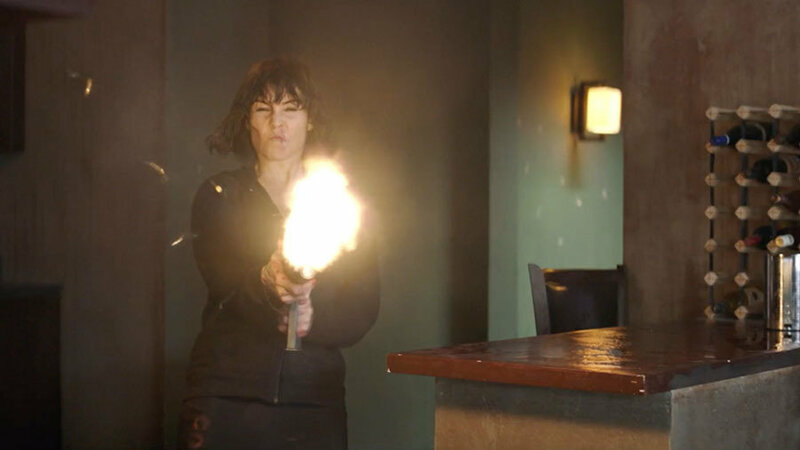 Especially in the explosion/fire/muzzle flash collection, the elements need to have the range of luminance that hold up on the big screen. Usually the super whites are clamped, but we were pleased to learn that those whites in the ActionVFX assets were reacting pretty well to our manipulations within the shot! Ronald: The shots turned out even better than our expectations. It’s always a pleasure to work on American productions like this one. Everything was well organized and prepared. There is much less improvisation during the VFX process. We do like some level of improvisation, which is a bit more common in the European cinema industry, but I have to say that with those kinds of big productions, you can go a bit further in the techniques and achieve a look that we’re all satisfied with. Ronald: Cinema, and more cinema, and everyday small things around us. I think as most of us working in this industry feel, we always keep our eyes peeled. Seven Sisters / VFX Breakdown from Benuts VFX on Vimeo. Watching over the 'What Happened to Monday' breakdown, we can definitely see the passion the Benuts team has for VFX work. We are humbled to have our elements used by such a great team on a big film like this and can't wait to see what they work on in the future!